Florent is a Principal based in the Paris office and a member of the “Technology and Innovation Management” and “Industrial Goods & Services” Practices. Florent has broad experience in strategic consulting in terms of anticipation (strategic plans, business planning), innovation (technology roadmapping, R&D&T processes and organization), and transformation (operational excellence, change management, PMO). Florent is primarily active in the energy, aerospace and manufacturing industries, where he covers a broad range of topics involving strategy, technology and innovation. 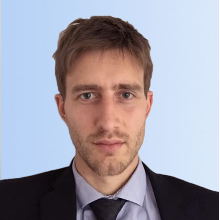 Florent has also gained experience in consumer goods (beauty), transport (railways), and transaction support services (due diligence). Florent holds an Engineering degree from the Ecole Nationale Supérieure d’Arts et Métiers and a master’s degree in Strategic Management from HEC Paris. Florent is happily married and has a beautiful daughter.